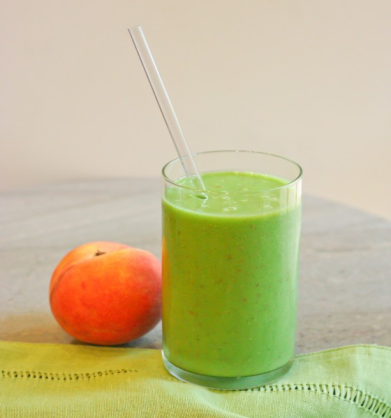 This tropical smoothie is rich in skin loving antioxidants including vitamins C & E as well as essential fatty acids which nourish & hydrate our skin from the inside out. The omega 3 & 6 fatty acids lower inflammation and nourish our brain, heart and reproductive system. As well as tasting great, mango is rich in beta carotene which helps to protect and enhance skin radiance. This fresh and fruity smoothie will help you to stay full and energized because it contains a good balance protein, fibre and healthy fats. Optional: 1 sachet of Revive Active Amino Acid, Vitamin & Mineral Complex. Add all ingredients to a blender starting with the milk and blend until smooth. Drink immediately. Power Up: Power up your smoothie by adding a sachet of Revive Active – a comprehensive vitamin & mineral complex which helps to boost our immune system and energy levels. Nutrition: approx. 323 calories per serving. Protein-rich, a source of omega-3 fatty acids and antioxidants. Pour the water into a a large blender cup, add the spinach and blueberries and pulse to break down. Remove the lid, add the remaining ingredients, and blend again until smooth. Our in-house nutritional coach, Nichola Flood, tells us about how a healthy PH can help us fight disease and increase our energy levels. Our blood pH should be slightly alkaline and range between 7.35 – 7.45. If our pH levels are below 7.0 this means that our body is acidic, making it prone to ailments, fatigue and disease. 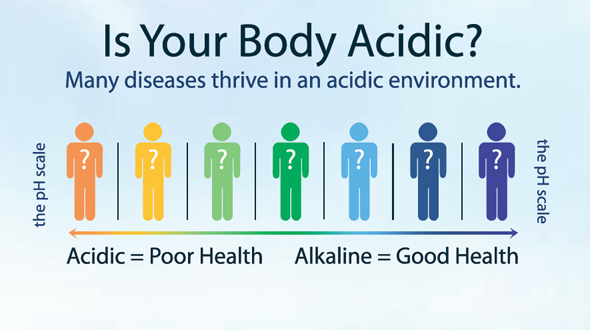 When the pH levels in our body’s tissue are acidic, this brings the body into a state called “acidosis”. Acidosis is one of the main causes of disease within our bodies as it creates an unhealthy environment in our cells and puts a burden on the liver, digestive tract, heart and kidneys. The reason acidosis is rampant in so many peoples’ bodies is mostly due to the “Standard Irish Diet” (SID), which is high in acid-producing animal products like meat, eggs and dairy, and relatively low in alkaline-producing foods such as fresh organic fruits and vegetables. When diets are high in acidic foods the body will depend on its stores of alkaline reserves to meet the emergency of alkalising it as it needs to rebalance itself (to maintain a healthy PH in our bodies we must be at 7.0 or above). However if we don’t have enough alkalising compounds the body will pull from the body’s cells and create acidosis and eventually lead to illness. How can we prevent acidosis and alkalise our bodies?? • Eat a diet full of alkaline vegetables and fruit. 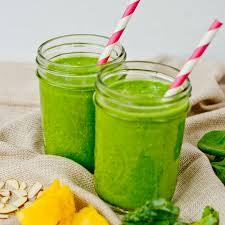 I have included some alkalising green smoothies that can be incorporated into the diet as a breakfast or as a snack daily. 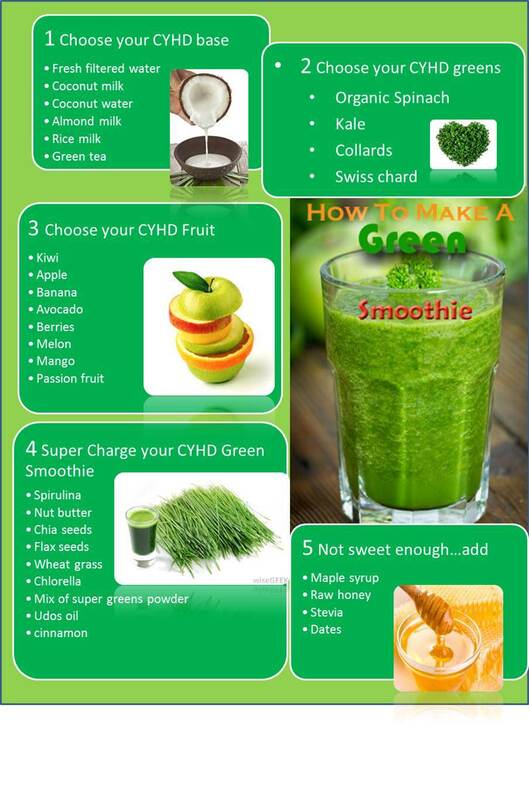 Or check out our guide below to make your own smoothie recipes! 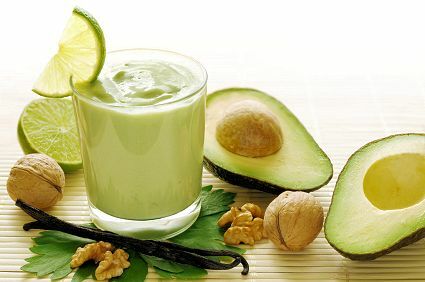 Fresh smoothie of avocados, vanilla, walnuts and limes. Place all you GO TO GREEN ingredients in your blender or food processor and puree until smooth. Add some filtered water if needed for consistency. Place all you PEACHES AND CREAM ingredients in your blender or food processor and puree until smooth. Add some filtered water if needed for consistency. Place all your Alkaline GREEN SMOOTHIE ingredients in your blender or food processor and puree until smooth. Add some filtered water if needed for consistency. Make your own concoctions using this handy chart as a guide!